After the EF-111A Raven, I’ve been trying to get this completed before the end of April. I tried to get some paint variation like my previous build but it didn’t turn out that well. I also tried to see if I can get a stronger base coat to prevent the paint from being scratched off as is typical of acrylics. I thinned the AK Interactive Black Primer with lacquer thinner but the thinner split the paint. Perhaps I overthinned. Anyway, I quickly finished off the painting to get this build completed. Mild weathering is next and I can call this done. 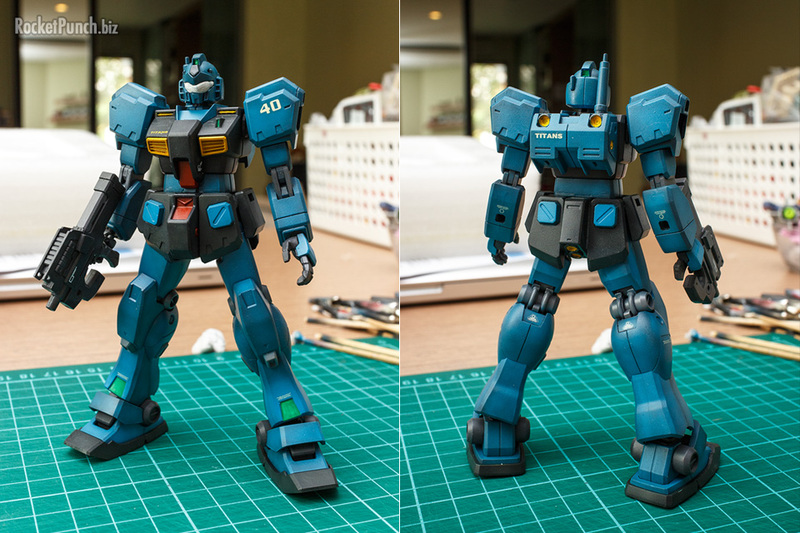 This is my version of the RGM-79Q GM Quel operated by the Titans of the Earth Federation. It’s my entry into Plamo’s WOOB 07. 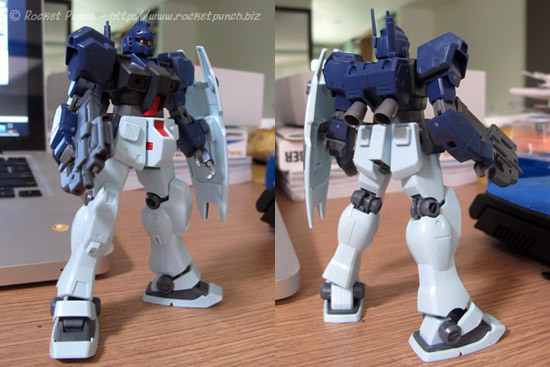 I’m combining the upper body and arms of the HGUC GM Quel with the bottom half of the HGUC GM Custom. Why? 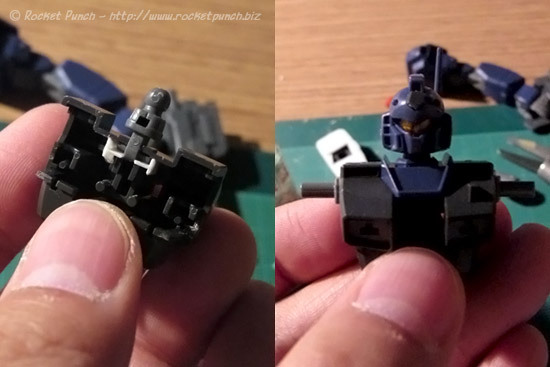 I find the lower portion of the HGUC GM Quel to be too blocky and it looks disproportionate. It’s a simple matter of swapping parts. I’m doing some simple modifications to the kit. First up, I added plastic strips at the base of the torso to extend its height by 1.5mm. 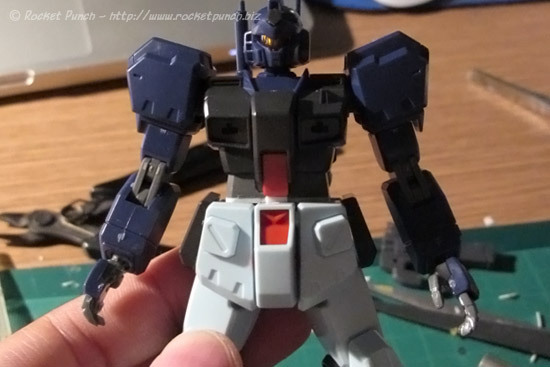 I also added some plastic strips inside the torso to extend the neck by about 1.5mm. I think I’ll swap out the GM Quel thrusters and use a different weapon too.